In 1973 Jim Hearn transformed a 1,000 square foot Taylor, Michigan hamburger shop into a delivery and carry-out pizzeria. He also hired Steve Jackson to deliver pizzas. Little did the two men know they were on the verge of a long and successful partnership in the pizza industry. 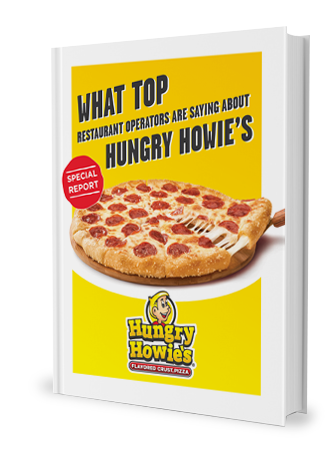 Through the years, what began as a small pizza delivery/carry out restaurant became what is known today as Hungry Howie’s. So how does a small operation with only one store evolve into a successful, competitive multi-unit pizza franchise? The pizza sector is one of the toughest food sectors, according to Steve Jackson, “It takes a fierce desire to succeed.” Hearn and Jackson developed a strategy based on the knowledge that it would require high-quality products, top-notch customer service, and savvy marketing to be competitive with the major national pizza chains. In 1982, the partners decided to franchise their pizzeria operation and their first franchise was awarded in 1983. Sixty-five pizza franchises were opened in the next three years and the company exited the 80s with more than 160 units. By 1995, 300 locations had opened, and by 1999, 400 pizza franchises were open. 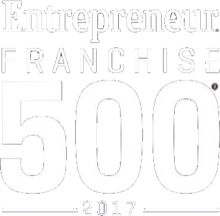 In 2004, Pizza Today magazine awarded the brand “Chain of the Year,” and by 2005 their 500th location had opened. An obvious next step on the path to success was establishing a distributing company. Hungry Howie’s Distributing, Inc. allows the chain to keep product quality and pricing consistent across all of their pizza franchise locations. In 1986, the Michigan commissary opened, followed by the Florida commissary in 1987. Jackson is strongly convinced that meeting the highest quality standards is critical to the pizza business's continued success in an increasingly competitive industry. At Hungry Howie’s, we have combined quality ingredients and decades of successful experience to create an outstanding, growth-oriented business operation. Our delicious, high-quality Flavored Crust™ pizzas, calzone-style subs, wings and salads uniquely position us in the pizza marketplace, allowing us to fully capitalize on the fastest growing segment of the food service industry. The leadership of Jackson and Hearn has made Hungry Howie’s a formidable competitor in the pizzeria marketplace. It is consistently ranked as one of the nation’s top 10 largest pizzeria franchises. 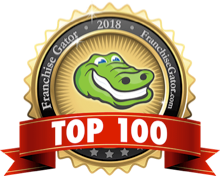 Hungry Howie’s now operates more than 600 locations in 21 states, and offers opportunities for franchisees to build a business based on quality and dedication, with the support to be successful.